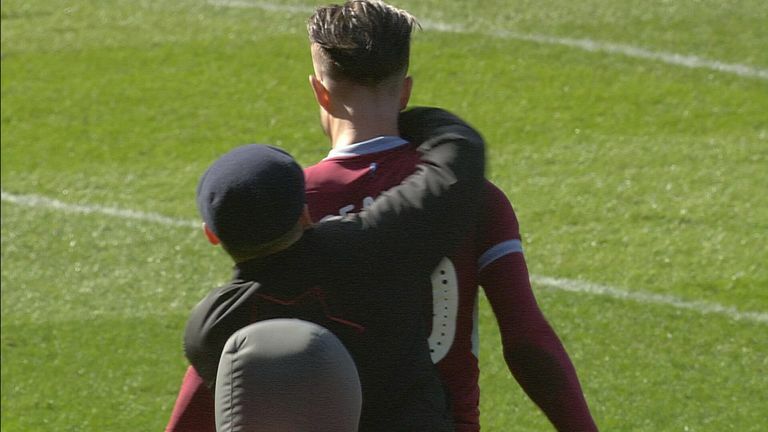 Aston Villa midfielder Jack Grealish described Sunday's 1-0 win over Birmingham City as the "best day of my life" despite being the victim of an attack earlier in the game. A pitch invader ran onto the pitch and punched the 23-year-old during the first half of the derby game at Birmingham. West Midlands Police have since confirmed that a man has been arrested in relation to the incident. 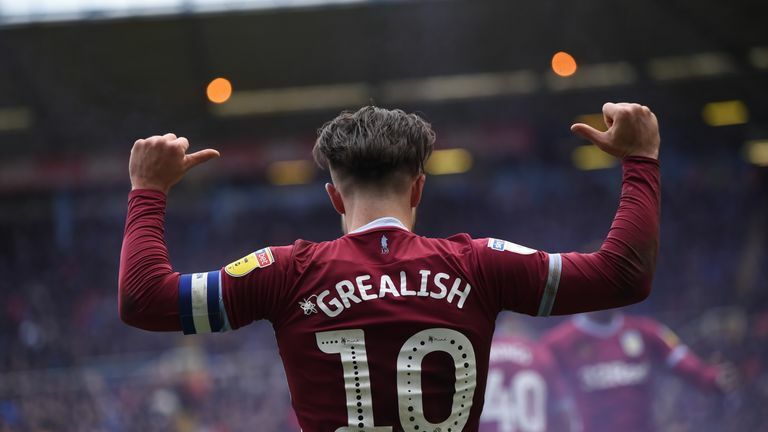 Villa captain Grealish went on to score the opening goal of the game after 67 minutes before jumping into the away stand to celebrate with the Villa fans. When asked to describe the day's events, Grealish told Sky Sports: "Best day of my life. "To come here for the first time as captain of Aston Villa and then score the winner - it's what dream are made of, especially being an Aston Villa fan." After the game, the EFL released a statement condemning the attack on Grealish, while Birmingham City apologised to both the player and his club for the incident. Grealish himself played down he altercation and said he remained focused on his performance in the match. "I was just unaware at the time," he said. "I think we had a corner or a throw-in and I was walking into position when I felt a whack around the side of my face. "Obviously there is rivalry in football but I don't think there is any place for that really. I just try and get on with my job in the end and I thought I did. I scored the winner and we came away with all three points. "It was unbelievable in front of our fans. After what happened in the first half I think it was set up for it. Captaining the club here is something I dreamed of since I was a kid." 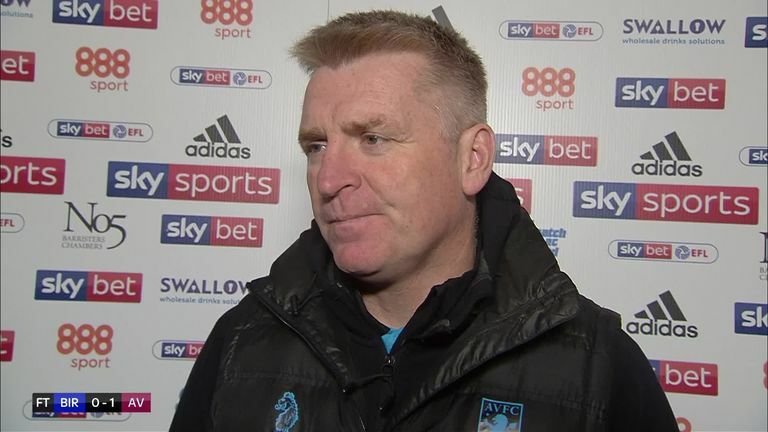 Villa manager Dean Smith criticised the security operation at St Andrew's for allowing the spectator to enter the field of play. "He shouldn't be allowed on the football pitch. It shouldn't happen - security should have been better," he told Sky Sports. "Security has to be ready for people coming onto the pitch. Hopefully the lad gets locked up. "Luckily Jack Grealish is okay but when you've got 15,000 people clapping him on as well… it doesn't make it right. "I'm all for a local rivalry and that's overstepping the mark. Thankfully he's okay and he scored the winner for us."